Care and Feeding of Tube Amps ~ Treat Her Right! Technology marches on... but when it comes to guitar tone, the customers of technology have consistently preferred Old School over New Tech. Ahh, the lusty tube amp. Something about the raw, warm tone created by those glass cylinders of glowing orange magic has kept amp designers (and their guitar-playing customers) spell-bound. The grit, the grime, the grease, the gravel, the growl of a "real" tube amplifier touches the soul like no other sound. If you own a tube amp, you want to treat her right. She's good for what ails you as a guitar player, but likewise, you have to be good and make sure nothing ails her. The care and feeding of tube amps (and more specifically, the tubes IN the amp) is a most important consideration. First, let's get warmed up. If you work out, you've probably discovered the importance of "stretching". There's an equivalent in your guitar amp's world. Most tube amps now sport "standby" switches that allow you to turn the amp on without slamming the tubes with a jolt of electrical power before they've had a chance to get warm (slowly). Put the amp on "standby" before you even turn it on. This warms up the plates inside the tubes allowing them to "wake up" a bit before they're put to work. Don't get me wrong... jolting them awake can be done again and again, but it hurts the tube's longevity. Second, be gentle! Solid state amps (amplifiers made with transistors rather than tubes) can be bumped and mis-treated without many consequences. But Ms. Tube Thang has to be treated with "respeck". Tubes in a jostled amp can loosen and/or get damaged by bumps/shock. This care usually just means that you should handle the amp yourself rather than leaving it to the care of volunteer "roadies". Finally, only change them when you have to. First, there are the "Power" tubes (these are the larger ones). They will likely be the most often changed tubes, because they handle MUCH more electrical energy than the other tubes in your amp. This is like changing tires from time to time... they just wear out. You'll notice the need for changing by one of several things: Lower power output (not quite as loud as before...like having to turn your amp up to 6 to get the same volume as you got at 4); Or the tone sounds a bit "squashed" or thin or less "present" than before. As I type this I realize that I might be describing symptoms of hearing loss... oh my! If your amp is making weird pops or squeals or electronic noises, you're probably looking at power tube failure soon. If you have to replace tubes, save yourself some trouble and just buy exactly what was in there before. Changing TYPES of tubes will likely destroy your amp, so don't even think about it. If you keep the same TYPE, but change brands, you'll have to do something called "re-biasing" which is done by a technician. There are companies that provide replacement tubes (like Ruby or Groovetubes), but again, you'll have to "re-bias" them to match your amp's other electronics. If you consistently stay with the same brand when you do future replacements, you won't have to re-bias again. It's easy to tell whether the tubes are correctly biased for your amp. 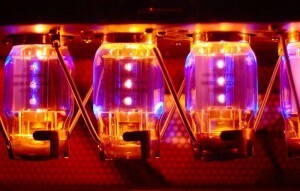 Just look at the color of the tubes when they're warmed up and operating. They should be glowing soft orange or amber. 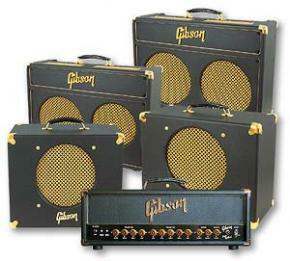 If they are too white or light yellow, they're being overdriven and this will harm your amp. If they are blue or purple, they are being under-driven. This won't hurt your amp, but will give you a wimpy tone. The main thing is to just expect your tube amp to be a bit more finicky than a solid state counterpart. It makes use of heat and space and so is more subject to magical powers than transistors.